If you take your black coffee with Cream and Sugar, our Ganoderma 4-in-1 Coffee is for you. Sure to please any crowd of coffee lovers. We have the perfect blend of Ganoderma, coffee, sugar and non dairy creamer sure to tempt your taste buds. Our 4-in-1 coffee has 1260 mg of ganoderma lucidum per sachet. Known also as “reishi mushroom” or in Chinese “ling zhi”, ganoderma is one of the most popular medicinal mushrooms. Ganoderma, often called the “Miraculous King of Herbs”, has over 2000 years of documented history including 400,000 web pages and third party documentation. Taste the rich, goodness of our Ganoderma 4-n-1 coffee with creamer today as you brew your first cup! Sure to please any crowd of coffee lovers. I really like its flavor. I have researched a lot about the products that it contains and I am surprised by the quality of them; I will continue consuming this coffee since I have felt very well from my stomach.Thanks. this is the best coffee I have ever drank, I have been drinking it for about 15 years. digestive system. It is smooth great way to start my day. I have shared my Ganoderma with many to their delightful surprise. It is great with cake, bagels or just by itself. I love this coffee and I plan to enjoy it forever! Love the 4 in one coffee wish there was a caffiene free so my wife could drink it too. I like the taste and as now, I prefer it to your other good coffees and teas. Ordered for my father and ended up sharing the coffee with my family and co-workers. They feel with energy and like the flavor. This coffee is very tasty and there was no need to add additional sugar or creamer. I will be ordering more. A friend introduced this coffee to me. It provided the coffee effect without the caffine fitters. And I’ve dis-covered a secret. This coffee lowers may blood pressure to a safe level. Medical professional should know about this, if not at lest the general public. I have many reasons to drink this coffee often. I thank my friend and this company for a wonderful product. Excellent coffee. Been buying for a few years now. This stuff is so great. We can’t do without our cup a day. Absolutely love this coffee. Thanks to a friend 2 years ago that introduced it to me. I enjoy drinking this coffee so much, it taste awesome, I like the idea that I don’t have to add cream or sugar. I have searched for coffee like this but have not been able to find any. Thank you, keep up the good work!!! I have been drinking the 4 in 1 Ganoderma Coffee for the last 2 years. It is a delightful way to start my day. The taste is so delicious wit a lovely fragrance, to boot! Knowing that this wonderful morning specialty is so good for you makes the day that much greater, because I feel that I’m doing the best thing possible for my body, spirit and mind. I have been drinking Ganoderma over 5 years and I love it! It gives me that burst of energy and I feel great all day. I like it so much and talk about it to friends they now order and says it’s great they love it too!! Ganoderma 4in1 is our Morning Coffee. And also it is so easy to share with others at home, when visiting, or on the road. No clumping in package helps to make it easy to dissolve in hot water. And easy to carry in my purse. This web site sold me easily on this coffee. God bless. I have been drinking this coffee for about 8 years now and I continue to drink as long as I can. Have been buying this coffee now for over a year. Gives me my boost of energy for the day. Thank you Gano! I really wanted to like this product (alternative to what I was using for years now which is DXN Lingzhi Ganoderma Coffee) but after reading what ingredients this one has, I immediately stop drinking it because it has REFINED SUGAR in it! If you are not aware of the danger of refined sugars, do a research and you’ll be shocked. This product is supposed to be healthy to consumers because of the ganoderma benefits but adding refined sugar is just puzzling to me. Oh and by the way, this product has ganoderma powder. You should be looking for a product that has ganoderma EXTRACT in it which is way for beneficial to your health. Something that i can’t live without.best stuff!i been having this coffee for about a year now.it gives me energy & helping me keep the weight off. I have been taking it for several years and I feel better than before I started taking it, I feel with more energy and alive I recommend taking it, but know this it takes awhile before you notice it like maybe a month. I will continue drinking it. Absolutely love this coffee. No side effects and keeps me going through out the day. Thank you Ganoderma! Ganoderma 4 in 1, is so deliciously fulfilling in the morning. I start each day with a hot cup. I am so comfy and cozy with my hot cup in my hands. I take the first sip and I know I’m in “Gano” land. By the time I finish, I’m ready for anything and everything. Energy is at a high and the rest of the day is before me to conquer in my own peaceful “Gano” way. I have been drinking Ganoderma Coffee for over 5 years. It’s is a wonderful coffee, it gives me energy and it’s not to sweet. 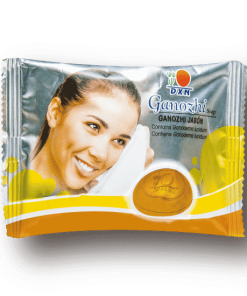 I have given bags of this coffee to friends of mine and they too now enjoy the refreshing and energizing efforts of Ganoderma 4 in 1 coffee. I have been drinking this coffee for 9 months. Excellent taste and always gives me a kick start in the morning! i have enjoyed your coffee for at least 6 yrs now and I will continue to drink as long as I can, I have recommended your coffee to friends and family, so continue the good work. This coffee tastes yummy . I enjoy bringing the small packets in my purse and carry-on bag when I travel. I find it a healthier option then the normal coffee creamer. I like how you can read and understand all the ingredients listed. I have been using this product for years and I feel better and with more energy I recommend it for its health property’s and it also taste great. Simply the best tasting coffee. Easy for travel and keeps me away from Starbucks. I absolutely love the 4-in-1 Ganoderma coffee. I have alot more energy when I drink it and I just feel better all around. I know the reishi mushroom helps to detoxify my body also. It’s a great alternative to a cup of coffee!! This is the most portable way to drink coffee on the go. I was introduced to it several years ago and now buy for myself and a few others with the convenience as a selling point. Taste great. And hot water is cheaper than a brewed restaurant coffee any day! Thank you for this service. Love this coffee. Great tasting and healthy. It gives me a boost to start my day. Super fast shipping too. I actually ordered this by mistake. I don’t put sweetener in my coffee, so usually order the 2 in 1 Ganoderma. I just kept it, thinking I’d send it on to someone as a gift. I’ve ordered the Kacip Fatimah coffee before, and in spite of it being sweetened, I did like it, so tried this one. It tastes quite good, and there is something about all the reishi coffee that leaves me feeling uplifted – regular coffee doesn’t affect me that way. I’ve been ordering the Ganoderma 4 in 1 Coffee for several years now. I’m very satisfied with the product and the mailing service is very accurate and fast! There have been some instances in which the order has arrived home in 3 or 4 days! The best coffee ever smooth taste. And its not expensive , I would recommend this product. Tris product has been good for my digestive system and diet, I feel with more energy and I feel it has helped with my concentration in my martial arts. I will continue using it. Not only is it delicious, it keep me active all day. I don’t feel hungry through out the day and I am very functional. It’s a great caffine and energy drink replacement. The taste of this product is very good and it seems to have the right amount of sweetner and creamer added to it. I look forward to having a cup every day. I do feel my energy has been really good lately and it may be due to using this product. I am writing because I stopped drinking coffee until I found your website and your healthy coffee. I tried the Ganoderma 4 in 1 coffee and for the first time I love the taste and most importantly I did not get bloated like I did when drinking regular coffee. In addition, I got the pick me up I needed, actually better than regular coffee, and they say it improves mood and I would definitely have to agree. I start my day off with Ganoderma 4 in 1 coffee every morning and I feel great and I would recommend you try it too and see and taste for yourself. Great coffee and great company!!! I have been using Ganoderma for about two weeks now and I really enjoy it. It has a great taste and makes me feel better all day with more energy. I have COPD and it seems to have eased my breathing throughout the day. I am going to re-order soon. Hey guys, if you want to start your morning well you must try Ganoderma 4n1 coffee with creamer. It gives you lots of energy and keeps you going throughout the day. I drink 2 packets a day, one in the morning and one in the early afternoon. I love 4n1 ganoderma coffee because it saves you money. No need to add sugar or cream, it is perfectly measured and tastes so good. I recommend this to coffee lovers who love sugar and cream in their coffee. Ganoderma is good for you too. So do yourself a favor and try this wonderful coffee. You will not regret it. As always delicious coffee, quick service, my husband enjoys it so much but I cannot have even a trace of caffeine and it drives me crazy because Joe’s coffee smells so good. I hope someday Gano will come up with a 4 in 1 decaff. We love ganoderma coffee. After a friend recommended it, we tried it and found it was the only thing that gave my husband enough energy to get moving after he had Valley Fever 10 years ago, so we’ve been drinking it ever since. I drink the 4 in 1 with sugar and cream and he drinks black. It has iron and ganoderma in it, it tastes delicious and it’s easy to make. Reminds me of drinking Nescafe in the old days, and when traveling in Europe. Thank you Evin for a great product and fast and easy shipping. We love ganoderma! Taste is great, Keeps me awake, helps me through the day. A friend of mine introduced me to this drink quite a few years ago. Right from the get go this was the best drink I’d every tasted! So I still drinking it-every day! For me, there is also a big bonus! Unlike coffee it doesn’t give my body the jitters. But it is tastewise completely addictive. Remember! You have been warned! I love my Ganoderma coffee, been drinking it for several years. I believe it has helped keep me healthy. This is a very good product, in the breakfast is nice, healthy, I take every morning. We buy Ganoderma coffee 2 cases at a time to save on shipping and make sure we have supply. The ganodermacoffee company / website have been great. Easy order, quick ship and no problems. The Ganoderma 4in1 is pleasant to drink and has helped heartburn, hot flashes, and irregularity. It may be coincidence – but we have not been sick or bothered with allergies since we started drinking Ganoderma 2 years ago. If I heard it was being taken off the market – I would buy a truckload…. I love this coffee. The 4 in 1 is perfect for my morning schedule. I work at a High school and need to be at my desk by 7:00 am. The fact that all I have to do is add boiling water makes it nice and easy. The flavor is so delicious and is gives me the needed kick so early in the morning. I will be a forever customer. Nice Flavor. Helps wake me up! GREAT COFFEE!!!!! Not only do I drink my mom does as well. As it has helped with keeping weight off and gives you more energy…..
Ganoderma 4n1 coffee is great! It has a wonderful flavor and gives me energy that sustains me throughout the day! My husband has been drinking it for a while now and he prefers it over other brands. We usually add one packet of Splenda to each cup for added sweetness but the results are the same. I take it with me everywhere because its now my #1 coffee!! Great flavor and I love the added energy I get from my morning cup. 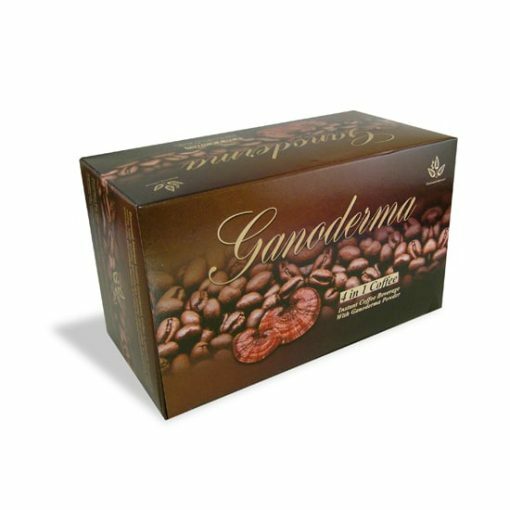 I’ve been your customer for a long time and I’m very satisfied with the product – Ganoderma Coffee 4 in 1. I’ve been using the product for about 8 years now, and it continues to be my favorite coffee! I love this coffee! It gives me so much energy and has a wonderful flavor! It is now the only coffee I drink!! Gano 4 in 1!!! 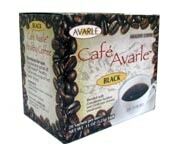 The best product for healthy coffee! Gives me energy and helps with the detox, i’m addicted and the price is awesome compared to other brands! It’s a natural coffee no preseratives! Love it! Great coffee, I have being drinking this coffee for about 6 yrs. I hope they never stop making it, don’t know what I would do. I just love that coffee. I drink it every morning. Please try this coffee. Have a good day. I recently made my first purchase and I am extremely pleased with the Ganoderma coffee. It has a smooth taste and I put cinnamon in and drink it black and it is delicious. I have been drinking Gano coffee since 2002 having previously purchased it from another company. I find this Ganoderma coffee is have a much smoother and pleasant taste than what I previously was drinking. The coffee is great tasting, it has no bitter after taste. It is very smooth and very easy to make and the price is always great. I love the taste of the coffee and I am glad that I found your company because the service is great. I love the 4/1 It is much better than regular coffee. The taste is much better and the after taste is better. I can drink it hot then if I don’t finish it I add ice and drink it cold. My daily mug is 22oz so I use two packets each day. I found Ganoderma 4 in 1 coffee to be a smooth great tasting coffee. My energy level is rejuvenated when i have a cup. I highly recommend it. I’ve been drinking Gano 4 in 1 coffee for 3 months now. I enjoy the taste and the effects of it. I have been regular daily with no problems. My weight is going down and I feel good. I had a stroke 3 months ago, I’m a avid coffee drinker, the stroke was a Brain stem stroke that affected my tongue, lips and swollowing. The acid content in regular coffee irritated my throat. A doctor friend of mine recommended I try Ganoderma coffee that is very low acid and has other heath benefits. Needless to say I can enjoy coffee angain. To be fair “Folgers simply smooth” is drinkable up to a couple of cups. The only drawback to Ganlderma is the cost as I’m am retired and on a fixed budget. I am not normally a coffee drinker. I love the smell but not the taste. However, after my sister offered me a cup of Gandoderma 4n1 I drank it all and enjoyed it! The combination of flavors was great and it went down very smoothly, not at all bitter. Gandoderma is now my keep on hand morning drink. Smooth, mild great tasting coffee. It makes me feel energetic. Would recommend it to my friends. In June 2012 I had a Cystoscope. We saw two growths attach to the wall of the bladder, we scheduled a Removal in July, 2012. In Recovery the Surgeon told me the growths were not there, so a biopsy of the wall was performed. The only difference in my diet was the Ganoderma Coffee and Tea! Love the taste of this coffee and the way it makes me feel. What is rare in today’s retail food world is that when you open the new box of GanoDerma coffee, they stuff two extra packets on top of the other vertically stacked packets. Who ever gets extra these days I ask? Usually there is a big empty space at the top of a box of food products, not extras stuffed inside! Ordene ganodermacoffe para mi esposa, esta muy encantada del sabor y las propiedades que este producto ofrece. I think that the coffee is great, it is very smooth tasting and it is just good coffee. I feel very good when I drink it, I have energy and I also feel relaxed. I love the product. Great coffee and great price. Good flavor, I have recommended it to all my friends. I received my Ganoderma fast after ordering and I love the taste and the ease of using it. No need to add anything extra. I will be ordering more. I enjoyed this coffee, I’ve given some to friends and got them started on it; I’ve also tried the teas…..love, love, loved it, will not go back to plain coffee. when I first tried it my nose had been stopped up for more then a week. My allegry medicine wasn’t working; I was planning on making an appointment to go see if I had a sinues infection. A friend of mine gave me two of hers, I’ve been bragging to everbody that i know that loves coffee;everytime I run into someone whoes nose is stopped up I tell them about it. GREAT Coffee…..Even turned my mom onto it as well. Great boost of energy in the morning….. I purchased the 4 in 1 coffee, I am very pleased with this coffee. I enjoy the taste and the convenience of the instant pack. The delivery time was great and I will be ordering this again. The coffee is great – but what makes it stand apart from other competitors is the customer service from GanodermaCoffee.com. From the moment you order, you are kept up-to-date on the order status. This is a company who values its customers and it is obvious that they do! Well, I felt I had nothing to lose except $20.00 so I ordered the one with the sugar and creamer in it. I never liked instant coffee but this has a very nice flavor and I must be honest and say that I felt something. Something good. I am weaning off an antidepressant with my Dr’s approval and I have to say that I don’t think I could do it without the Ganoderma coffee. It relaxes me and gives me energy without that false caffeine feeling. I would definately recommend Ganoderma for everyone. I really do enjoy Ganoderma coffee, more than any other coffee I drink. It give’s me a boost of energy that last most of the day. I’m not jittery or anything and it taste so good. My favorite coffee Not to sweet Since I have been drinking this coffee my sinus and allergy is 100% better. I don’t take any medication for this. My cholesterol has even gotten better I would highly recommend this. I have always drank coffee all my life and haven’t tasted a coffee like this. Its a rich textured ‘full bodied’ coffee that I enjoy every morning. Its a wonderful pick me up and I feel healthier drinking it. And not to be too forward, but it has also helped my anxiousness along with intestinal problems. Needless to say I don’t have those problems anymore. It isn’t the sweetest coffee drink but its just sweet enough to my satisfaction. This is a coffee ment to enjoy. This is the only coffee I buy because is the best. Not only do I buy it for myself, I also buy and send to my family back home. My dad only drinks this coffee and no other. You won’t be desapointed when you purchase this coffee. I am a young female with fibromyalgia. This product (ganoderma coffee) was recommended to me by friend. She happened to come across an article stating the good results from use of this product. I decided to try it and after about 2-3 days I could tell a difference. With fibromyalgia, I have severe fatigue but after using this product I have more stamina and can accomplish more during the day. My family has even noticed. I really do enjoy the coffee. I have recently switched to the 4-in-1 coffee with creamer. It tastes even better. It is smooth and creamy and is delicious. Thanks alot for this product. Why drink Starbucks when you can drink a healthier coffee alternative and save money at the same time? I prefer the taste of your Ganoderma coffee over the “other” brands, and enjoy excellent, hardy and healthy coffee every day! Thank you Evan for making ganodermacoffee available to me. I order for me and my friends and we absolutely love it! I have using the 4 in 1 Ganoderma coffee for a number of years now. In fact, I just received another 20 boxes. Why would I order so much? This coffee tasts better than any other I have ever had except for a few premium brewed products. For an instant coffee, it cannot be beeaten! I took some with me to visit my son in Colorado and though the packs got really ‘fat’ from expansion, they held up fine. Not one of them leaked powder. The temperatures were around ‘0’ F. there. I have taken them to Florida and Arizona in 100 degree + weather with no problems. The coffee is great by itself, or you can add a creamer to it. It is great either way. There is also an interesting side effect of Ganoderma, for me, that makes it a real treasure. I suffer from terrible migranes, and believe it or not, Ganoderma helps relieve them. It doesn’t take them away, but it sure makes them milder. Go figure. This is a great product, and no day goes by that I do not drink at least one cup. Really love the product! and I’m hoping it will improve my health over time. Sometimes in the afternoon, I’ll just have the ganoderma 2 in 1 in boiling water. The taste is wonderful. I compare it to Starbucks. I love the ganoderma 4 in 1 coffee it is a perfect blend of sugar and non dairy creamer with the coffee and reishi. I had to give up coffee due to the acid reflux it was giving me I only was drinking one cup a day and it was still too much acid for me. Then my friend turned me on to this coffee and I can drink coffee again! it doesn’t give me any acid reflux what so ever and it tastes great! So if you love coffee but it doesn’t love you try this one. This website is very easy to use and fast delivery it gives you many diffferent coffees to chose from give it a try you have nothing to lose but that acid reflux! Reishi mushrooms where my favorite already now it is my everyday coffee. I like Ganoderma Coffee is excellent!!! and my friends like this Cafe too. It is easy to prepare and don’t need sugar non creamer, because already have those. I like the flavor is absolutely very good…uh!…uh!….uh!!! The coffee is very good and smooth and it does not leave me with a burn feeling in my stomach. I highly advise everyone to get it a try, good coffee. I ordered the Ganoderma coffee 4in1, I like this product its taste is very smooth and i dont have to add any cream nor sugar, which is convenient. The delivery time was good. I will be ordering this product again. This is the best gano coffee I’ve tasted. I’m recomending it to all my friends and relatives……..
this is the first time trying this type coffee which I like it very much but wish they have more coffee smell. I like it alot. I switched from another coffee company in order to save some money. I found it to be very comparable. I like the taste and the ganoderma in it. It has helped me to control heart burn, stomach acid and indigestion. Feel 90% better. I will continue to use this product while saving money at the same time. I learned of your product from my daughter who also uses it. We both enjoy it very much. 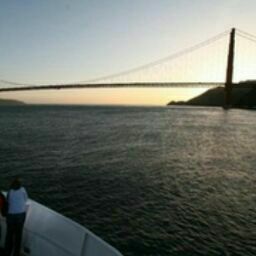 I received the product in a timely mannor and i am enjoying it every morning. I love this coffee. It keeps me regular and my digestive system is much better. I have been very pleased with the efficiency of the service when processing and delivering my order. I had also recently made the switch from paying $30.00 twice a month through an MLM company, to now paying half the price and the coffee is just as good. Thank you for prompt service and a great product! This is my favorite. I like that it is satisflying as a morning coffee and doesn’t eat through my stomach. I could drink this every morning. I fell in love with your product the first time I was introduced to it by a friend. The taste is excellent and there always the urge to have another cup. I would heartily and readily recommend Ganoderma products to anyone. I am not a coffee drinker and when my friends told me about it I was very hesitate but, was willing to try it. I love this coffee!! It gives me great energy, focus, and drive. Will continue ordering and your prices are better then other sites. Thank you so much! 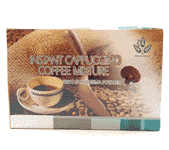 I like this coffee very much it is very smooth and it does not have a bitter after taste. It gets me ready for the day and it is very tasty and smooth. I will contine buying this coffee and I think my dad will also. I enjoy the fact that it is nutritional. Now my mom can drink coffee without the caffenine. Delicious and fast and apparently good for me. This will be a regular puchase item on my monthly list of beverages. Thanks for putting it all together in 4 in 1! My husband and I got our Ganoderma 4 in one yesterday from the mail, it was so good that we drank 4 cups last nite and more this morning. It made us feel energize and we both had a good sleep. I am glad I found your product. This is the best 4-in-1 coffee you’ll ever buy. It tastes great. I had to wait a while to buy it again due to being out of stock, but was worth the wait. Great product love the coffee! i think gana 4 in one is a great product sa all gana products are i try this four in one the two in one they all taste very good. i have a lot of headaches and this help me very much; i also have lower back pain and i get real releife by drinking this coffee i will recomend this product to any body i have taking other products and could not get any better from taking them but ganoderma four in one does it for me. I’ve bought this product from another supplier, but I didn’t like the taste as well as this one. The price is better than the other one and shipment was very timely. I will be ordering more. What can I say? This coffee is delicious!!! I love the convenience of the individual packets, so I can carry my own supply of coffee!!! I do not drink regular coffee anymore because I can tell the difference in my energy levels since I have been drinking ganoderma coffee!!! The 4-in-1 coffee is great, especially when traveling or going into the office, since it already has the cream and sugar added in the packet!!! I generally add a little more cream and sugar to my taste, but I recommend trying it as is before adding anything else to it!!! Everyone’s tastebuds are different. However, I am sure that you will enjoy this coffee as I have!!! This is a great buyer’s choice!!! I don’t know of any other coffee that gives me the energy and tastes as good as this 4 in one ganoderma. When I am out, I cannot drink any other brand of coffee. I’d rather do without. This coffee is not only great tasting, but it gives me more energy. It also does not have the peak and valley effect that regular coffee seems to have. I won’t drink coffee when I am driving long distance because of the drop off after the peak. But this coffee does not have that effect. I can drink it and drive with no let down. This coffee also seems to be helping my wife with her diabetes. So, enjoy, it is good for you as well as great tasting. Best coffee I ever had!! The aroma of this coffee is awesome!! It just lifted my spirit..Can’t wait to order some more !! !